Berry season is still in full swing here in Oregon. 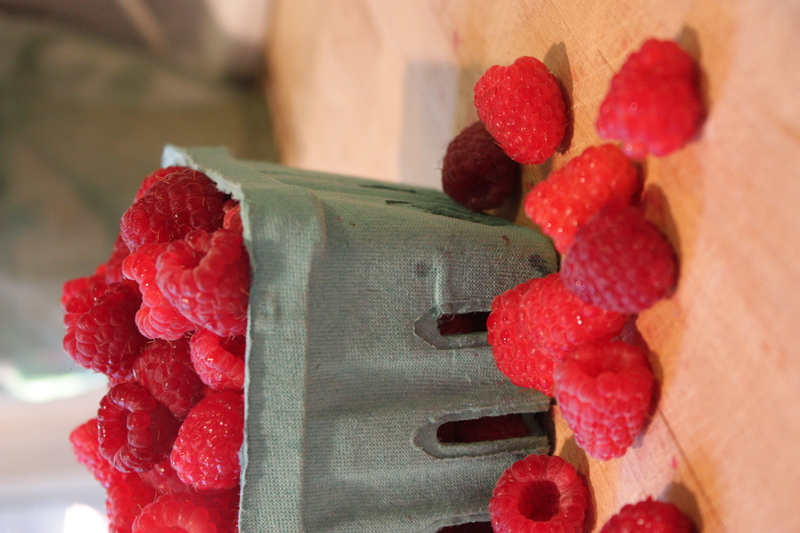 We have a wonderful u-pick raspberry farm not far from us so we decided to stock up. 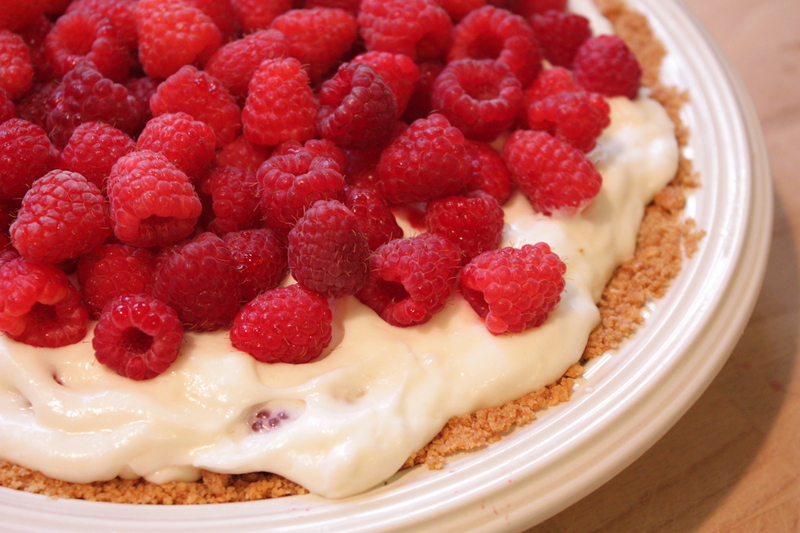 After eating more than our bellies could hold and freezing several gallons for later use I decided to make this pie. The recipe comes from my grandmother whom I believe got it from a neighbor. 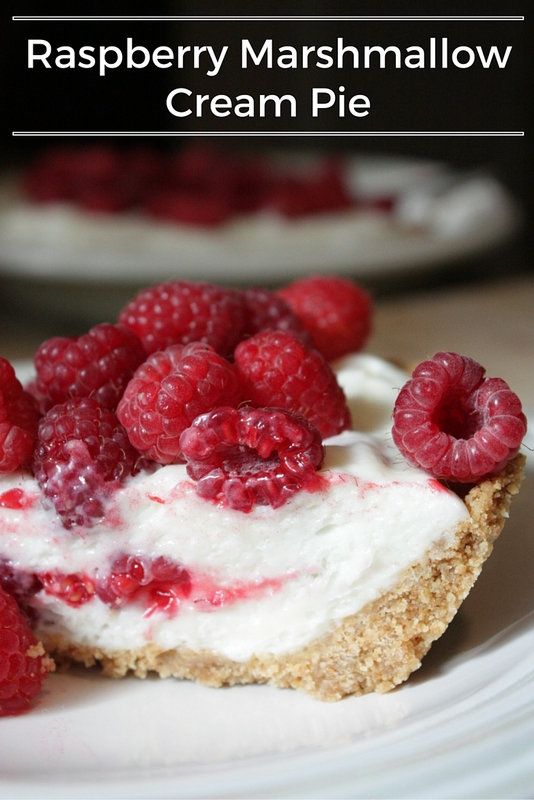 The crunchy, sweet graham cracker crust plays nicely with the creamy filling and flavorful, juicy raspberries. 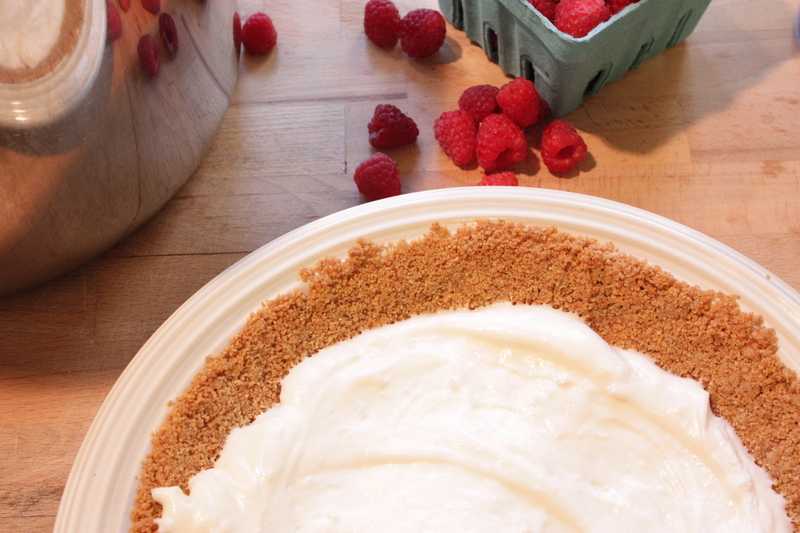 One slice is never enough. 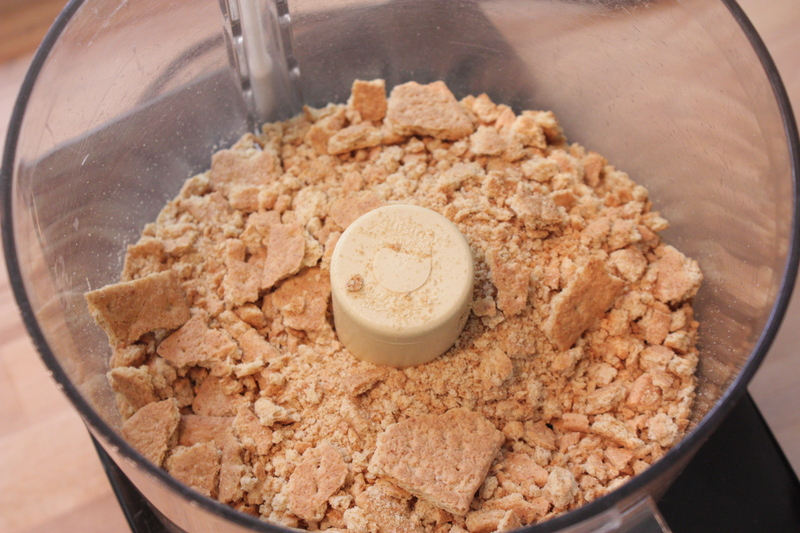 Crush up your graham crackers until they are nice and fine. 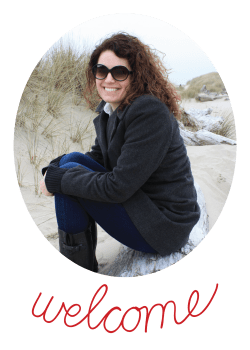 I like to grind mine in the food processor. 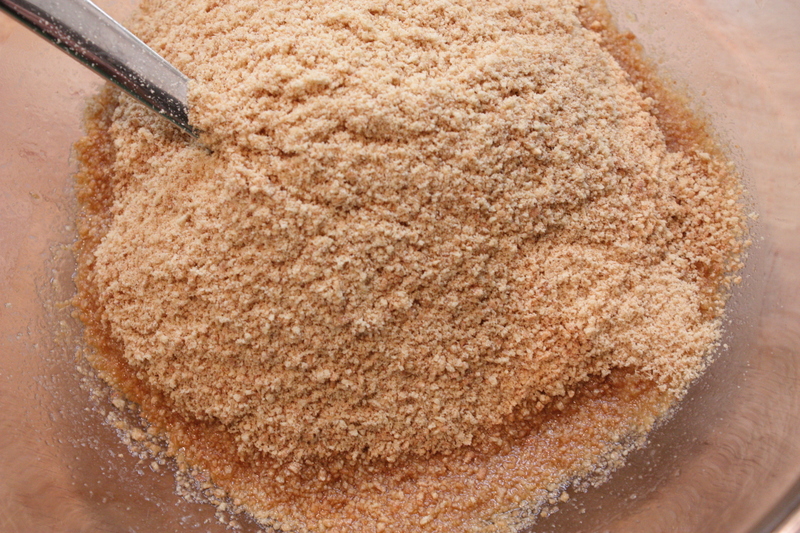 Break them up a bit and place them in the food processor then grind them until they resemble sand. If you don’t have a food processor you can grind them in your blender or put them in a zip top bag and smash them with a rolling pin. 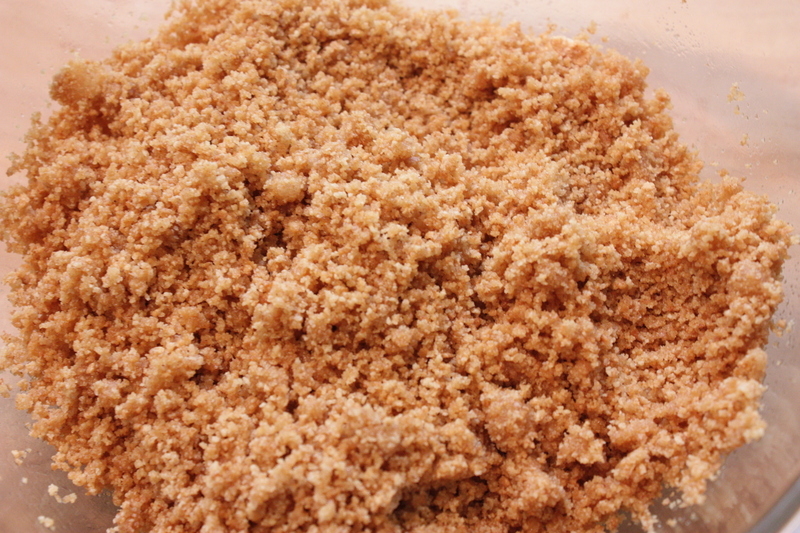 You can also purchase graham cracker crumbs and save yourself the trouble. I prefer Honey Maid brand graham crackers (no, I am not being paid to say that but Honey Maid, if you’re reading this I’d love to work with you). I have tried other brands but always go back to them. When your graham crackers are nice and fine combine them with the sugar and butter. 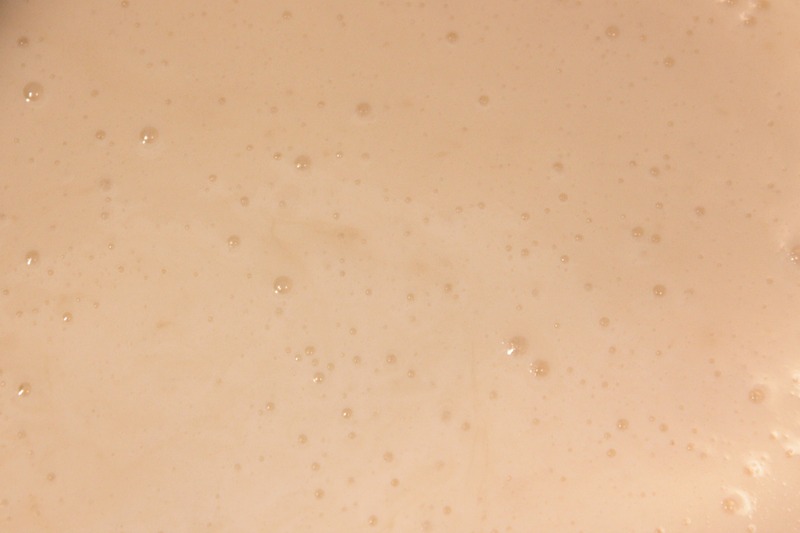 The mixture will resemble coarse, wet sand. 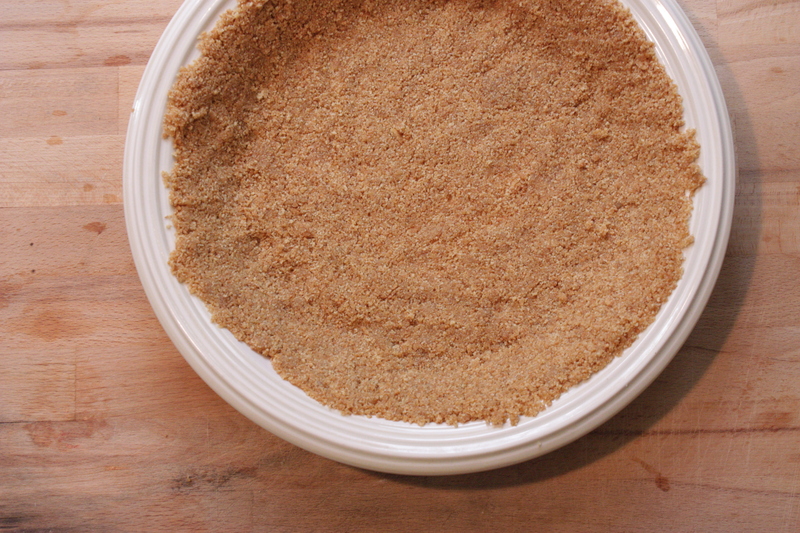 Press evenly into a large pie plate. 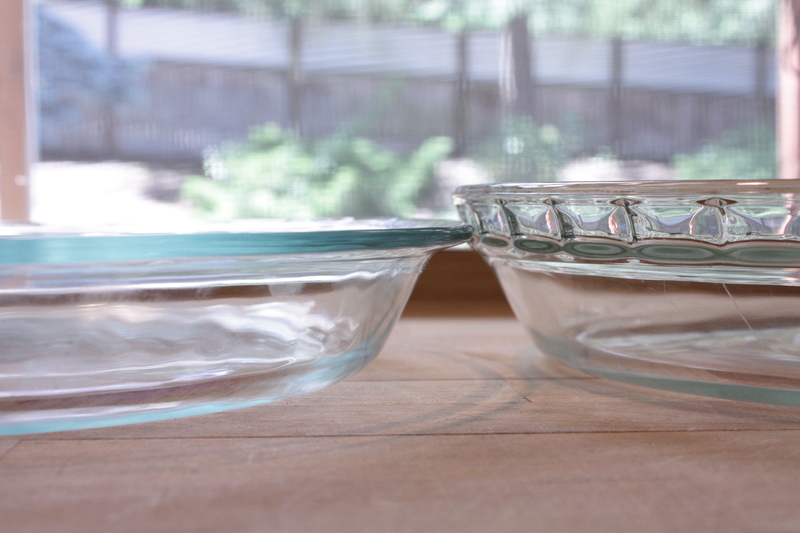 You must use a 9.5 inch pie plate for this recipe like the one on the right. If you use a 9 inch pie plate like the one on the left you will have too much crust and filling. When your mixture is evenly covering the bottom and sides of your plate place it in a 350 degree oven and bake for 7 minutes. Remove from oven and cool completely. 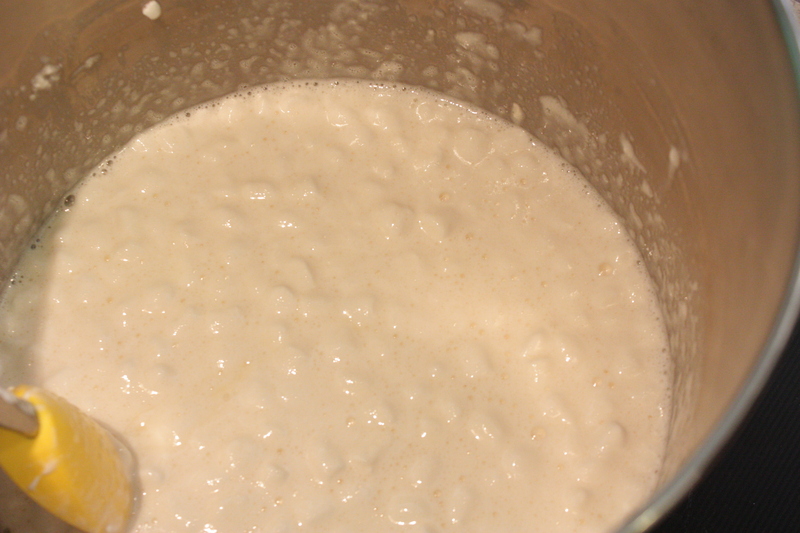 Heat marshmallows and milk in a sauce pan over low heat until marshmallows are completely melted and mixture is smooth. Allow to cool completely. 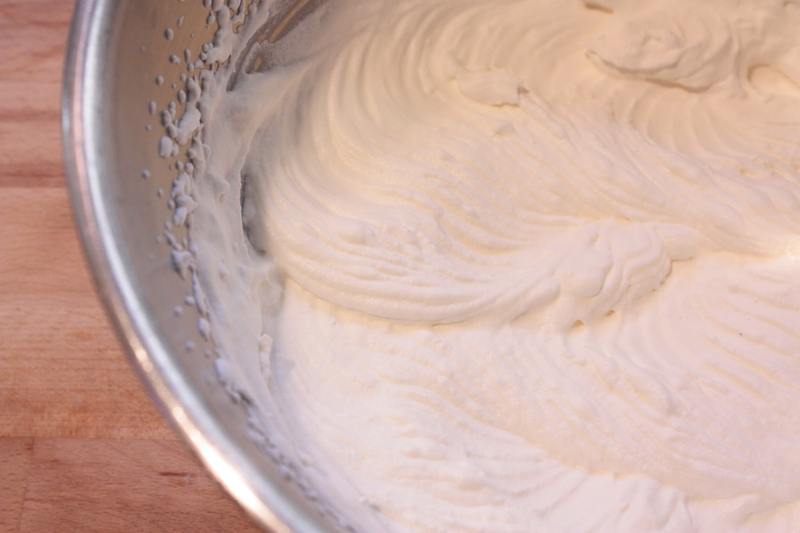 Whip cream and sugar together in a chilled metal bowl until stiff. 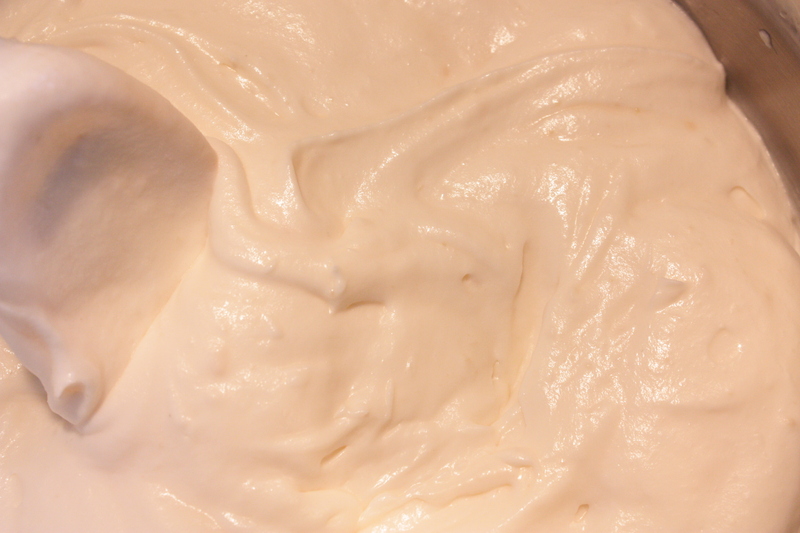 Fold the whipped cream into the cooled marshmallow mixture. Spoon half of the mixture into the cooled crust. 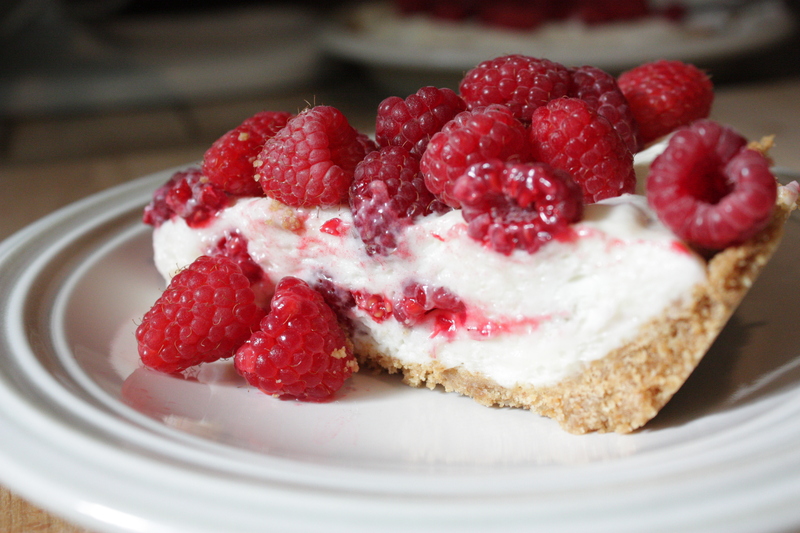 Top with half of the raspberries. Repeat layers. Chill until firm, about 3 hours. Cut yourself a nice big slice and enjoy!